As you know, although we have a beautifully renovated kitchen, I'm hardly in it except to organise the cupboards/pantry or grab my favourite food from the fridge. Instead, the Mum-in-law is the Head Chef in our house and she calls most of the shots in the kitchen, much to our relief! Recently, she has been getting my girl to help out in the kitchen a lot more, probably because she didn't want my girl to end up as clueless in the kitchen as her mother. 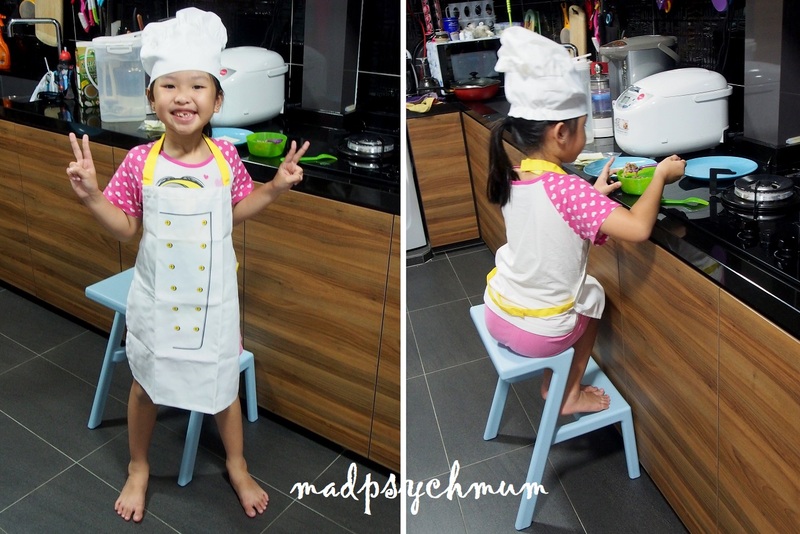 My girl was doing such a good job that I decided to get her the TOPPKLOCKA Children's Apron and Chef's Hat from IKEA to look even more professional! The girl was helping the Mum-in-law make fried wantons today, something that was easy enough to do. Putting just enough filling on the wanton skin using her KALAS spoon, before folding the wanton skin in two to wrap the filling. She really enjoys making wantons to fry! The Mum-in-law will fry all the wantons once she is done. Although I don't have a picture of the final product because we finished them so quickly (we were too hungry), I can assure you that they were so delicious! 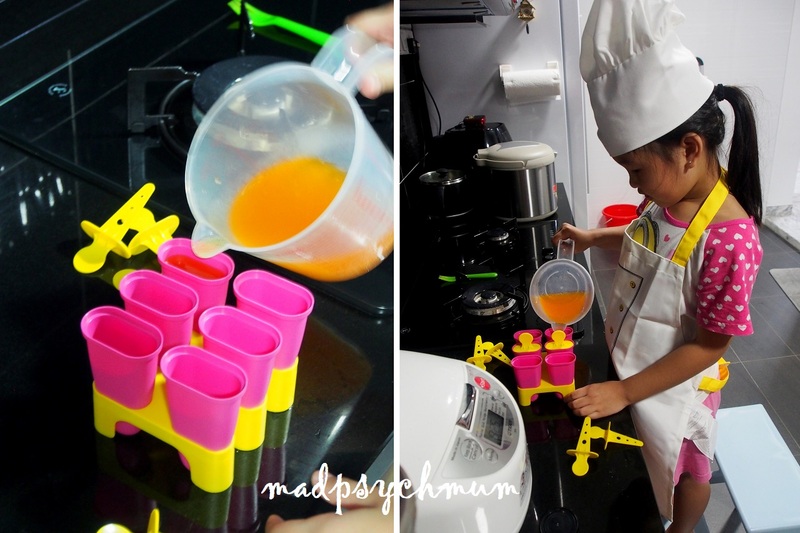 The girl was also bugging me to buy popsicles for her but instead of buying them, the cheapo me decided to get her to make her own! Very excited that she will get to make and eat her own popsicles! I am so lazy that we decided to use whatever sweet liquid I can find in the fridge, which turned out to be a can of Fanta Orange that we got for free from one of our hotel stays in Malaysia. A few hours later, her popsicles were ready! Disclosure: An IKEA Gift Card was received from IKEA Singapore for the purposes of this post. No monetary compensation was received; all opinions are my own.